"North Korea could conduct a third nuclear weapon test within as little as two weeks..."
Japan and South Korea could be pushed to develop their own deterrent. 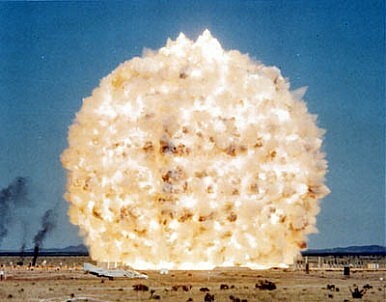 In a recent article in the Bulletin of Atomic Scientists, Siegfried Hecker, the co-director of Stanford’s Center for International Security and Cooperation and the former Director of Los Alamos National Laboratory, and Frank V. Pabian of Los Alamos, suggest North Korea could conduct a third nuclear weapon test within as little as two weeks if it chooses to do so. Their warning is a timely one—not least because a successful nuclear test by Pyongyang might seriously disturb the strategic dynamic in Northeast Asia. Public anxiety about a possible third test seemed more focused a few months ago. Indeed, the botched April launch of a satellite into space using a long-range missile gave rise to fears that the North would try to conduct another more successful nuclear weapon test. Given the level of development of the North Korean nuclear weapon program and the drivers of the regime, a third test is highly likely at some point in the future. With Kim Jong-un expected to rule for decades, he has few aces up his sleeve, but the nuclear program is one of them. So far the two previous tests have not ruffled many strategic feathers in Northeast Asia. But they have both been small. If a third test provides a yield of, say, fifteen kilotons—about the size of the Hiroshima explosion—the effects could be quite different. A test on that scale would signal to North Korea’s neighbors that it had achieved significant nuclear progress. While a fully-weaponized North Korean nuclear arsenal might still be distant, a third test would increase feelings of insecurity in South Korea and Japan, in particular, and prompt both governments to reach out to the United States for further security assurances. One possibility could be that South Korea and Japan would push the United States to agree to a new set of extended deterrence arrangements in Northeast Asia. Those arrangements might call for new, highly capable conventional-force deployments in the region. But they might also call for small numbers of theatre or tactical U.S. nuclear weapons in—or close to—South Korea and Japan. Worse, there’s a small but real chance that pressures would increase within South Korea and Japan for indigenous counterbalances to the North Korean nuclear program, and that would be especially concerning both for the regional order and for the Nuclear Non-Proliferation Treaty. A third test during the next few months would come at a difficult time for key players. The United States and South Korea are set to hold presidential elections in November and December this year, respectively; China is in the process of a once in a decade political transition; and there is continuing political uncertainty in Japan. The United States is also struggling with the residual impacts of the global financial crisis, scheduled cuts to its defense spending, and a substantial budget deficit. Furthermore, after long and costly military engagements in Iraq and Afghanistan, plus current worries about Iran and Syria, the United States might be hesitant about redesigning a new set of nuclear assurance arrangements for Asia. Nations such as Australia can do little to shape North Korean calculations about testing. But Australian policymakers should be discussing with their American, South Korean, and Japanese counterparts what a successful third test might mean for regional security so that all parties are better prepared for the challenges that await us. Japan, South Korea, and Australia are the United States’ top three allies in Asia. We have a keen interest in being part of any discussions that might reshape US alliance commitments in the region. Hayley Channer is an analyst and Rod Lyon is senior analyst for international strategy at Austraian Strategic Policy Institute. This piece originally appeared in ASPI’s The Strategist.